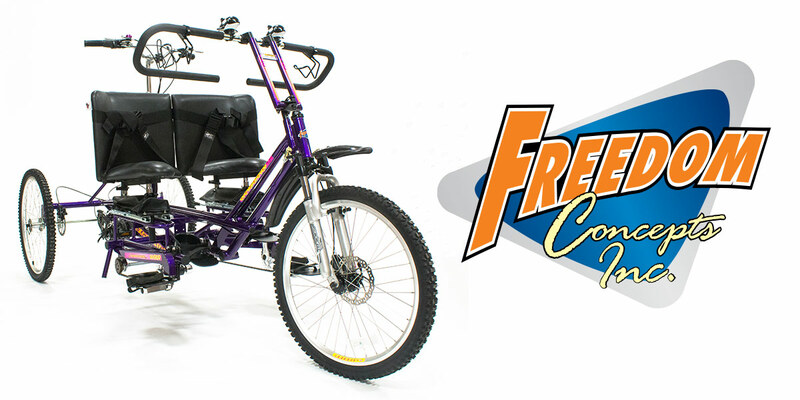 Conjoined Tandem Bike - Freedom Concepts Inc.
One of our most challenging and exciting bike builds came from a family in Vernon, British Columbia. 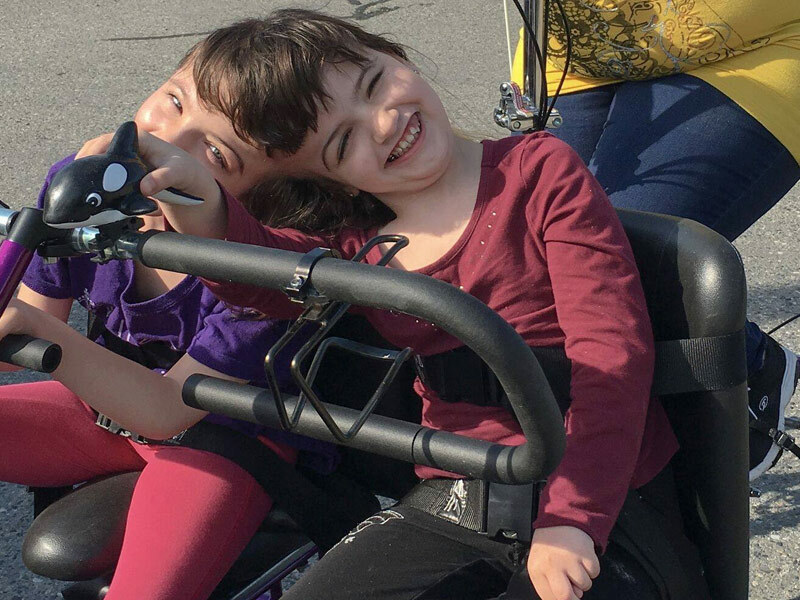 The request came in from the Physical Therapist of Tatiana and Krista Hogan, who are extraordinary little girls. Tatiana and Krista are craniopagus conjoined twins, meaning they are joined at the head, which is extremely rare. When we got the request to build a tandem bike for them, our team of engineers immediately started brainstorming designs to get the girls the bike of their dreams. After many weeks of conversation, designs, calculations and effort, our team started to build the bike. There was a lot of thought that went into this bike to ensure it would work perfectly for Tatiana and Krista. 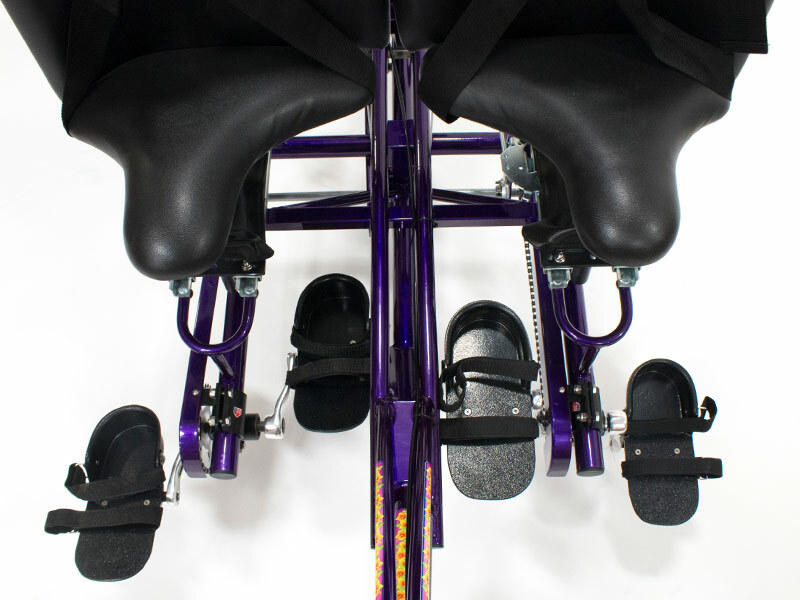 The bike needed to be stable enough to support three riders (two in the front, one in the back) while offering the same therapeutic benefits that our adaptive bikes are known for. 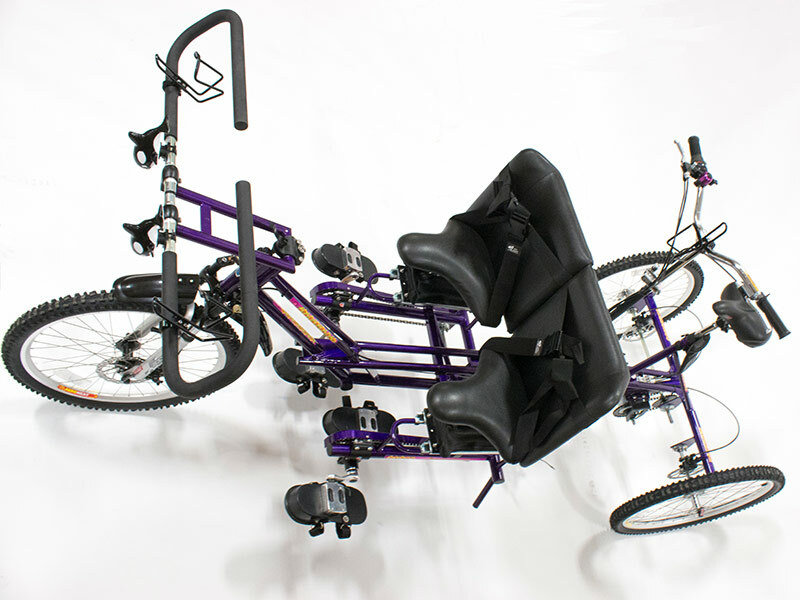 The bike was equipped with two front seats, individual support systems, as well as individual propulsion systems so each rider can pedal at their own pace. Two bike horns for the girls so you can hear them coming! 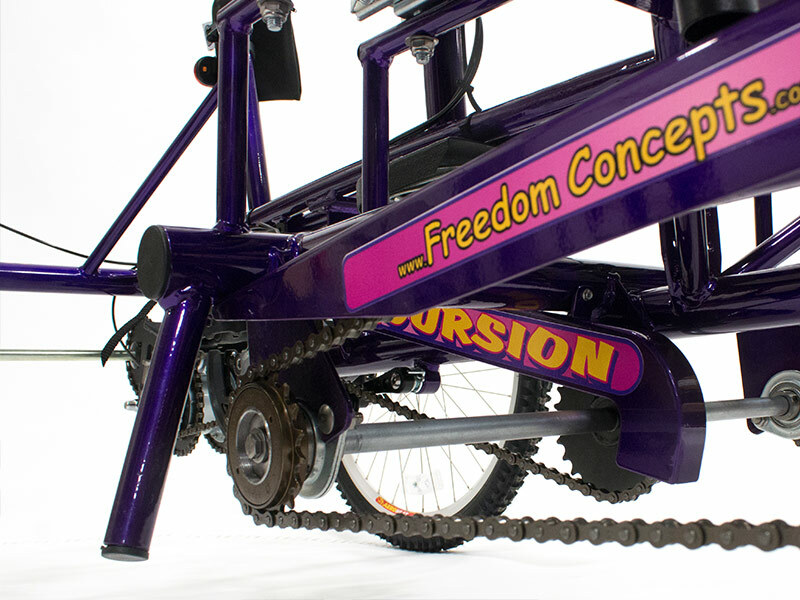 Freedom Concepts is able to customize every bike to the exact specifications and unique requirements of any rider. We accept any challenge through customization. At the end of the day, we want to see everyone out riding, no matter what the circumstance! Call us today to get started!